USSD allows for faster communication between the user and the client application. Most of the applications making use of USSD is based on menu and a lot services including chat and prepaid services are offered. 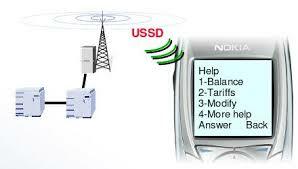 The major applications making use of USSD include prepaid roaming and chat. A menu is used for mobile prepay and also involves a USSD connection if there is a need to call while roaming. The connection is made via a MSC which connects to the Home Location Register in the home network. The request is now routed to the USSD gateway in turn routing the request to the server which hoststhe application. The balance is checked and the server initiates the same process via the same method back to the client additional information indicating the time available is also sent to the user. Mobile chat and other related applications like friends finder can also be put to perfect use by employing the USSD. The advantage of using USSD is that these applications require a faster connection to interact. Such applications also require additional technologies besides USSD to function, including applications to detect whether users are available or not at cetain particular locations.